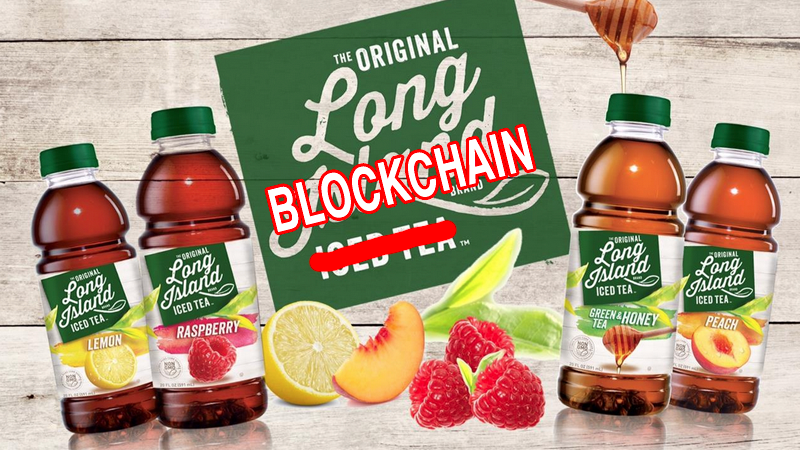 Remember “Long Blockchain,” or rather, the company formerly known as Long Island Iced Tea Corp. that saw its stock skyrocket after it changed its name to refer to the foundational technology behind the cryptocurrency boom and made a vague pivot to “globally scalable blockchain technology solutions”? Turns out that might not have been so smart! Per Bloomberg, the Securities and Exchange Commission—that’s the federal agency tasked with protecting investors from fraud and other financial crimes—has subpoenaed Long Blockchain. This is not commonly viewed as a good thing. The agency asked for certain documents, the company said in a regulatory filing Wednesday, without disclosing further details. The subpoena was dated July 10. Shortly after changing its name and seeing a massive spike in the value of its stock, Long Blockchain canceled plans to raise several million dollars through a stock offering and purchase 1,000 bitcoin mining rigs. As Bloomberg noted, the company was kicked off the Nasdaq stock exchange in April 2018 after both Nasdaq accused it of misleading investors and it fell below the minimum value of $35 million needed to maintain its placement. Long Blockchain now hovers at a value of $5 million, well below both the nearly $70 million it shot up to after changing its name in December and the roughly $20 million it was originally worth before that. I doubt anyone in this audience thinks it would be acceptable for a public company with no meaningful track record in pursuing the commercialization of distributed ledger or blockchain technology to (1) start to dabble in blockchain activities, (2) change its name to something like “Blockchain-R-Us,” and (3) immediately offer securities, without providing adequate disclosure to Main Street investors about those changes and the risks involved. The SEC is looking closely at the disclosures of public companies that shift their business models to capitalize on the perceived promise of distributed ledger technology and whether the disclosures comply with the securities laws, particularly in the case of an offering. Surely this theoretical “Blockchain-R-Us” is very different than the real “Long Blockchain,” and they’re gonna sort this little misunderstanding out pronto. Surely.